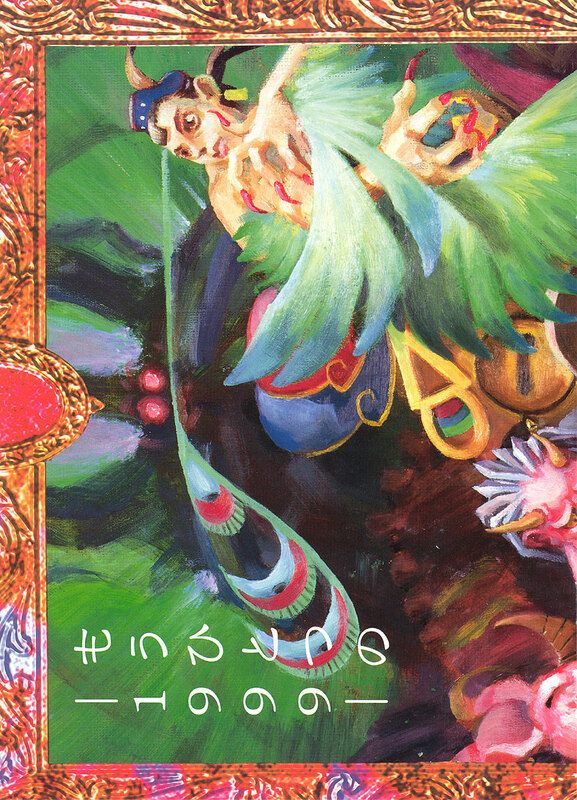 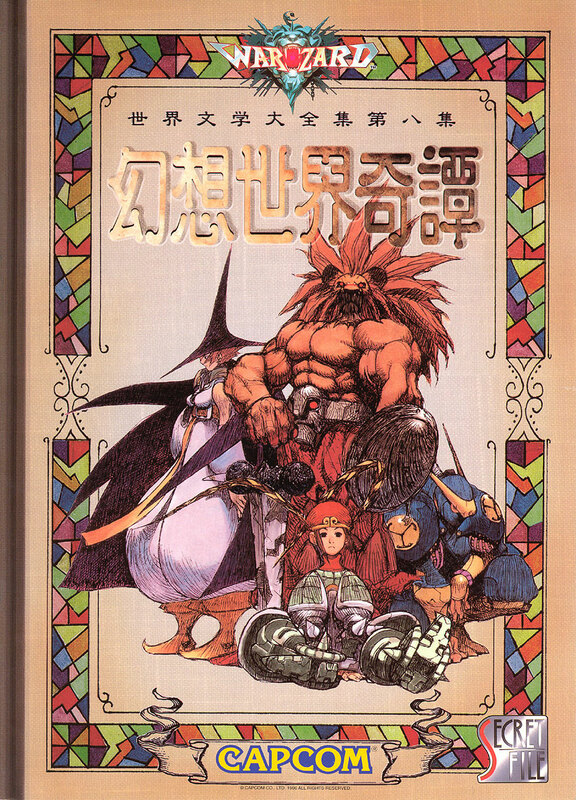 STORY: Red Earth takes place on an alternate version of Earth sometime in the 14th century (1999 in the Japanese version) where the world did not experience any technological revolutions or Renaissance and was still in a medieval/mythological state. 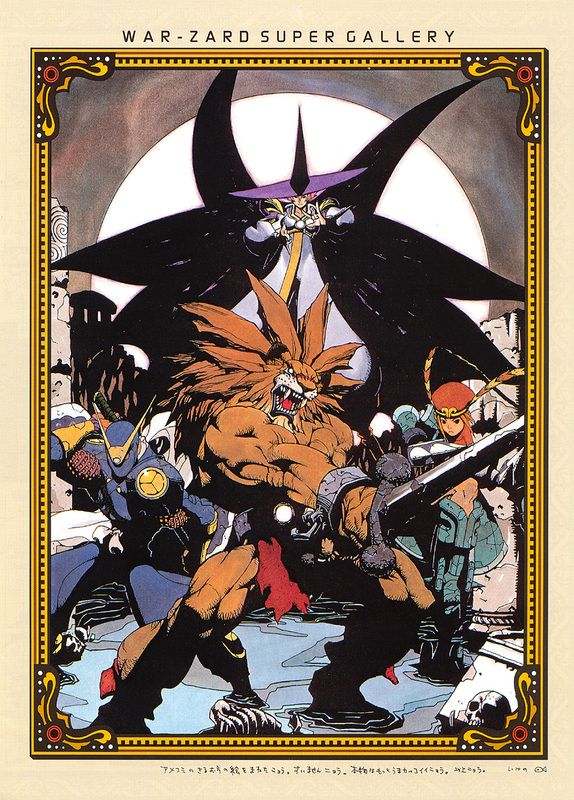 A new country has risen by the evil Scion, who sends out various monsters to take over the world. 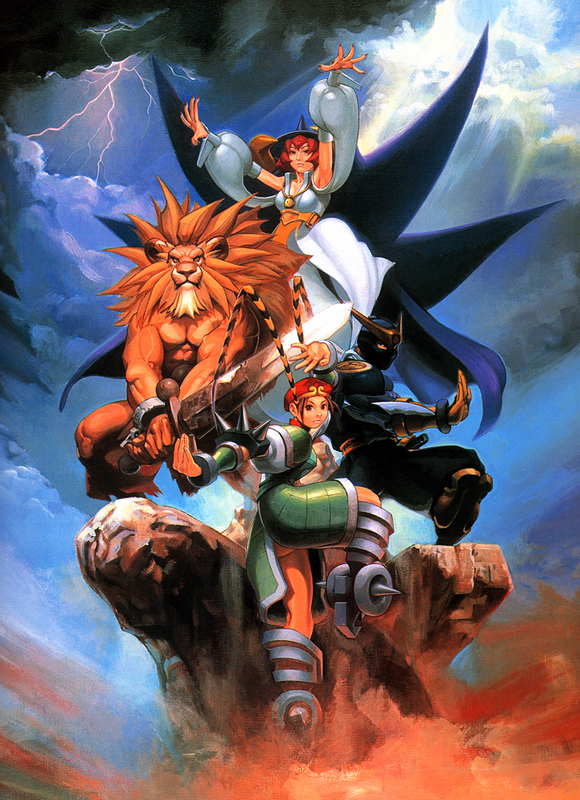 Four heroes emerge to defend earth. 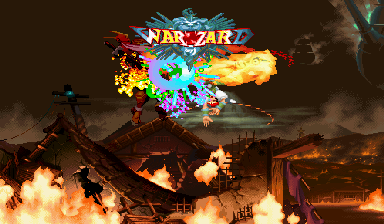 Kinda has that Gauntlet aura about it. 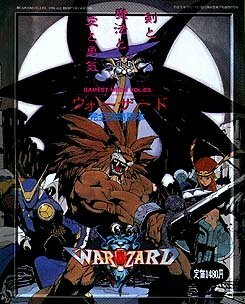 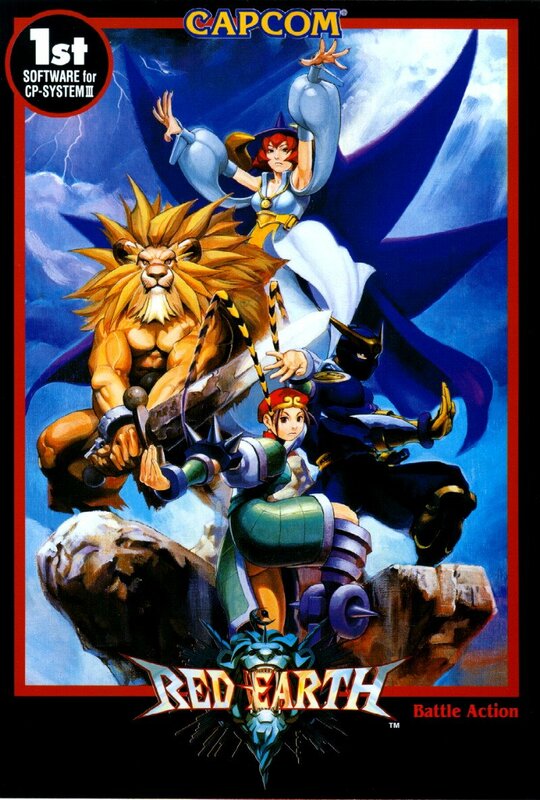 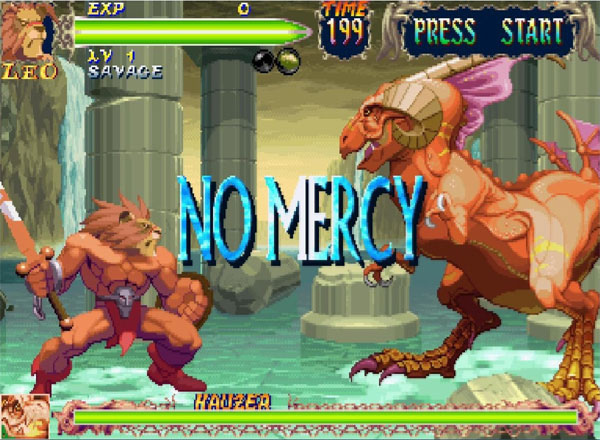 ABOUT: Known as Warzard in Japan, Red Earth is a sword and sorcery 2D fighting game from Capcom, released in arcades in 1996. 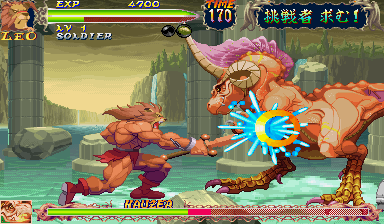 Red Earth is the first game to run on Capcom's CPS-3 hardware, the first Capcom system that uses a CDRom instead of expensive EPROMs to hold the game data (about 50MB). 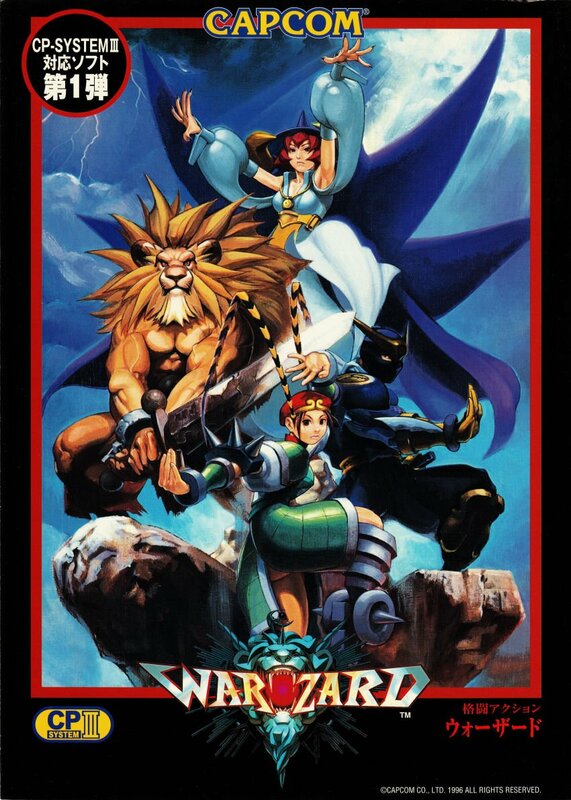 While quite common in Japan, the game saw a very limited release overseas and has never been released on any home console. 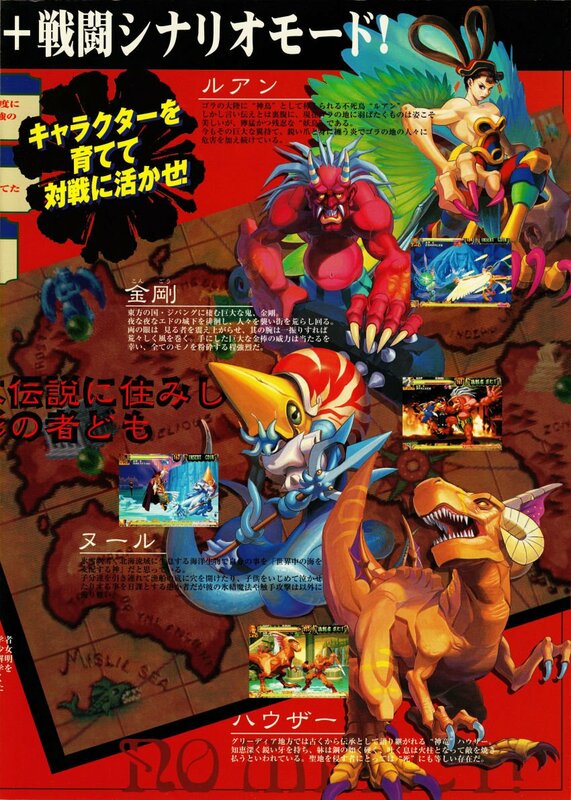 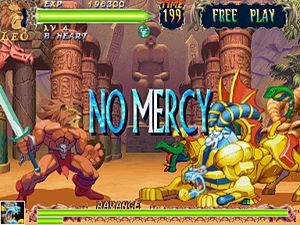 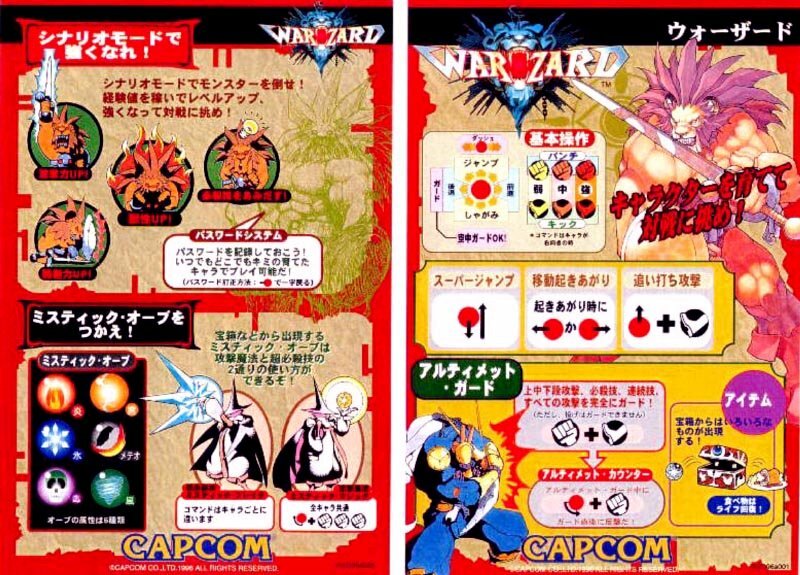 Even though Warzard is one of Capcom's most obscure fighting games, several of the characters have appeared as cameos (and playable characters) in other Capcom games. 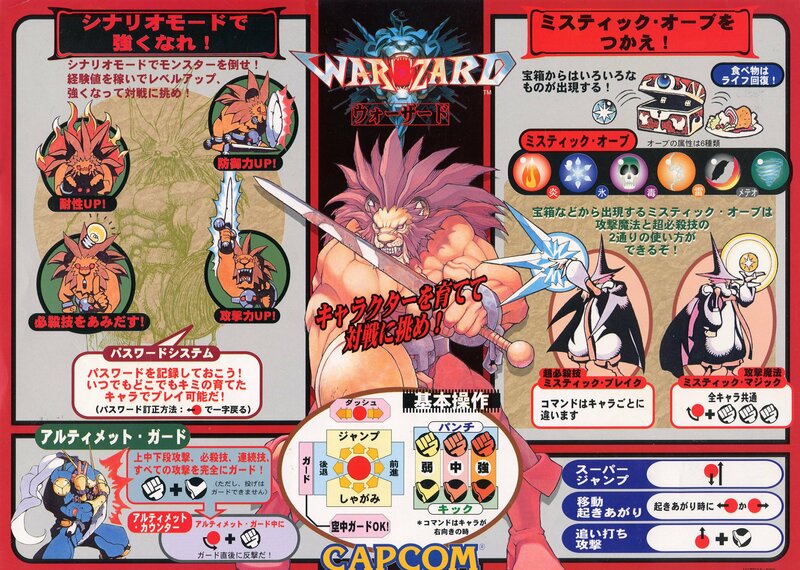 In Red Earth, there are 4 selectable heroes and 8 bosses. 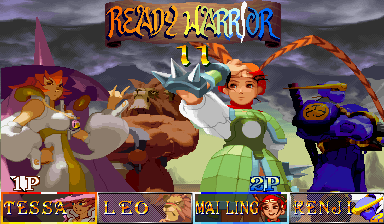 There are 2 game modes: Quest and Versus. 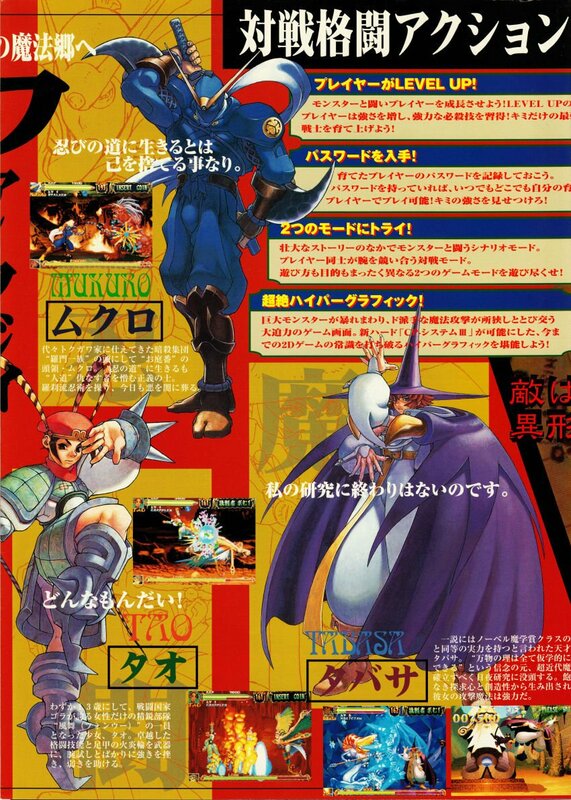 In Versus Mode, you and a friend fight against each other, but you can only choose from the four main characters. 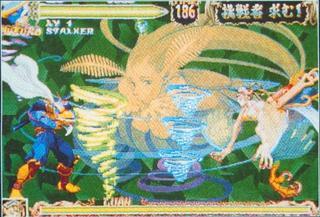 The 1-player Quest Mode has the player select one of the 4 heroes and progress through the storyline to fight against the 8 boss characters. 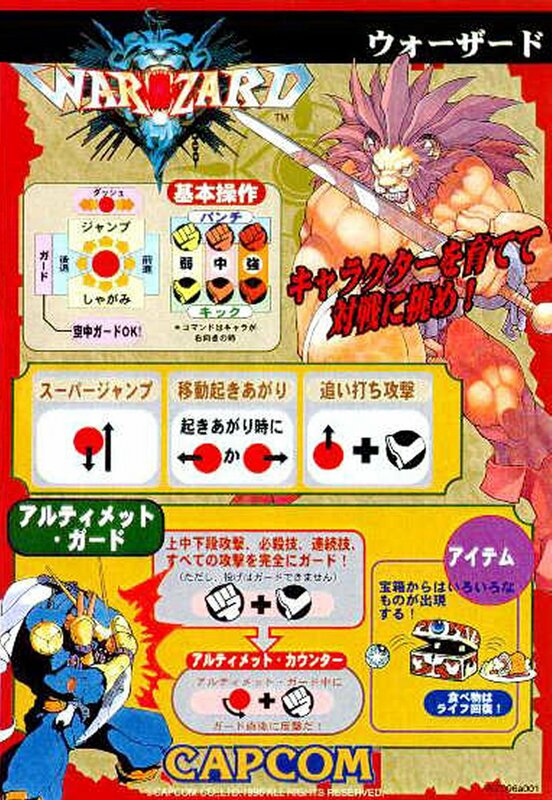 Red Earth also uses a special password system that allows the player to play the game later on the same skill level he reached when it ended the last time. 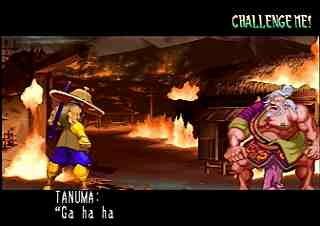 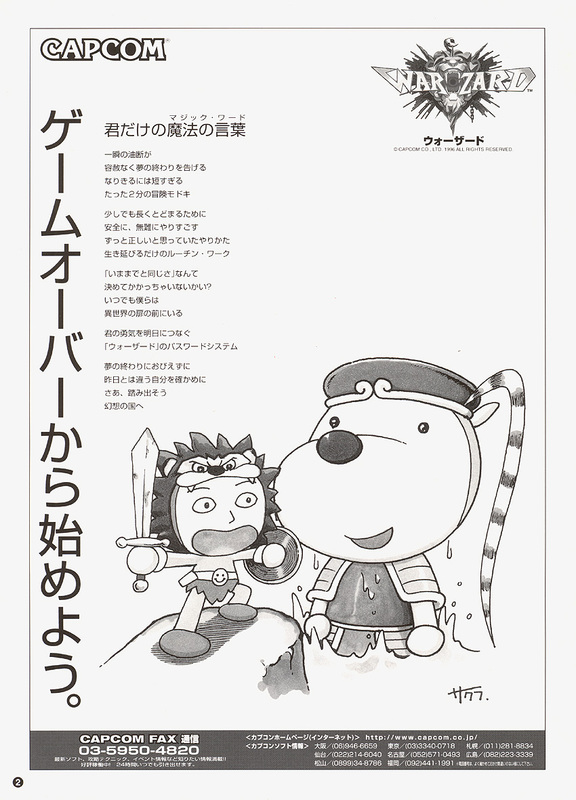 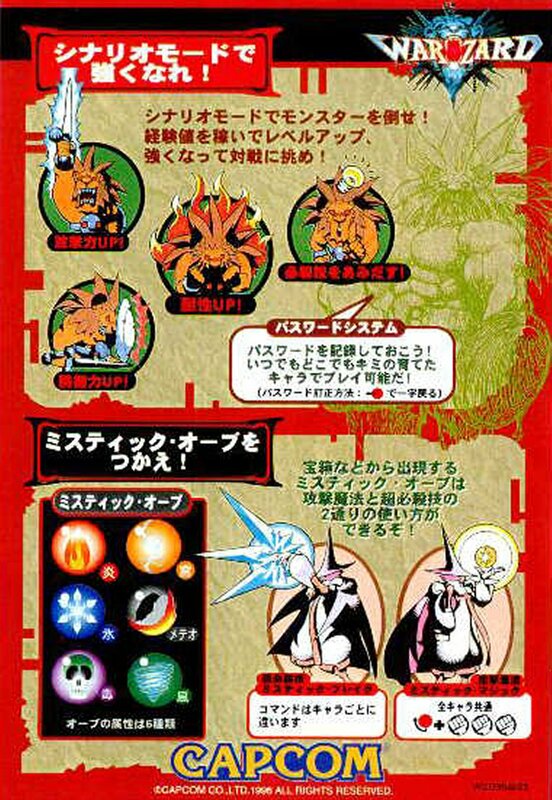 The character is able to "learn" special attacks depending on the skill level that has been reached. 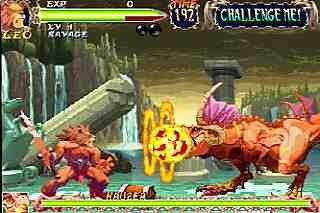 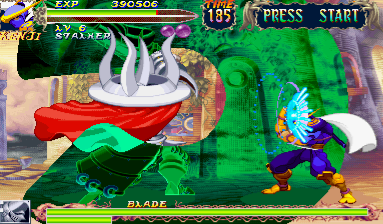 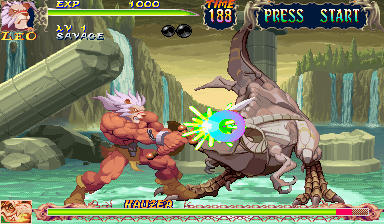 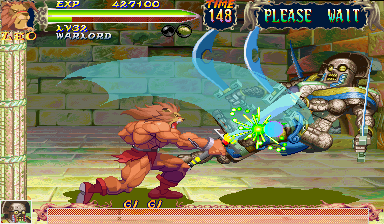 Red Earth also features "Fatalities" performed by the heroes against the monstrous bosses. 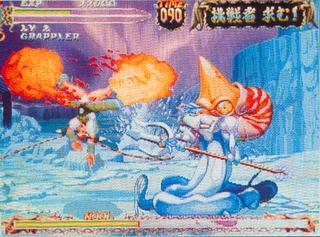 These fatalities range from decapitations, splitting the opponent in half, cutting off limbs, and organ removal. 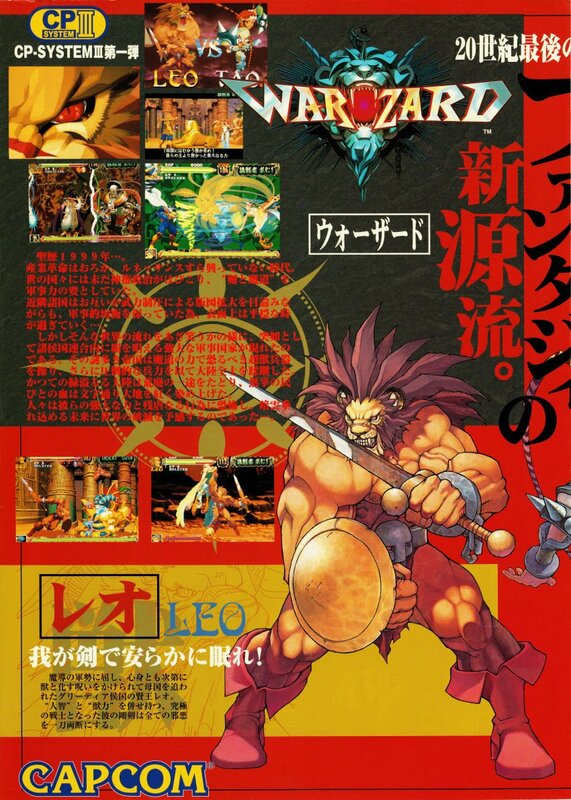 Although I admire the characters and art style, I have never played Red Earth. 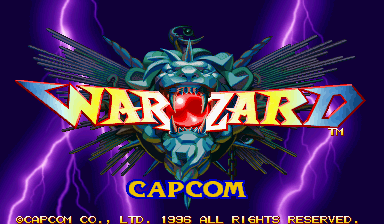 (On that note, I think it's time Capcom releases an HD port on consoles... they're bound to do it eventually.) 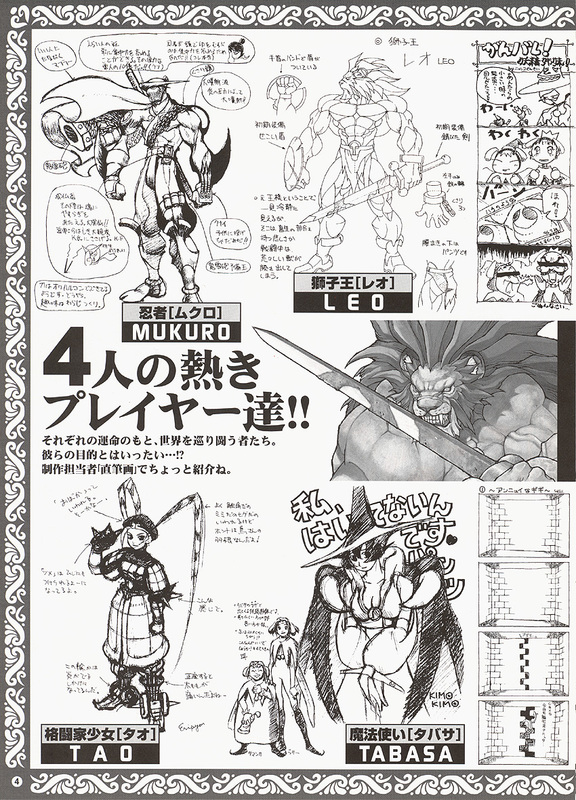 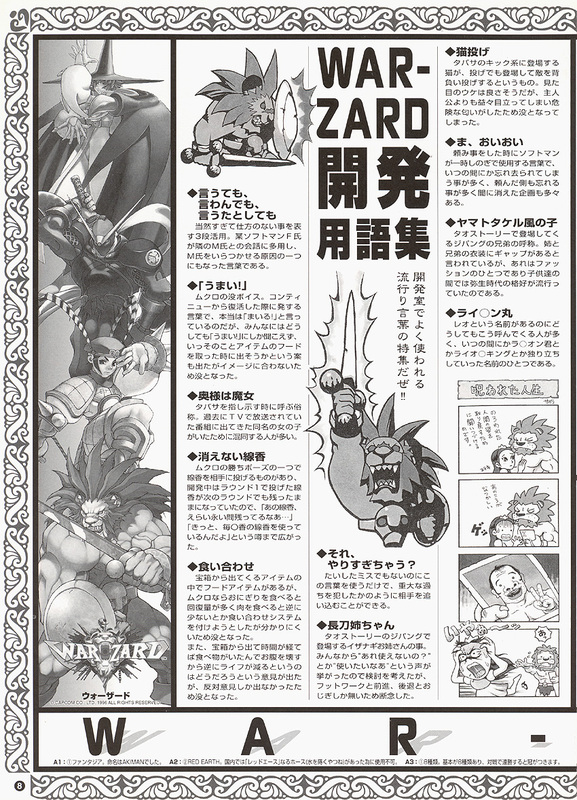 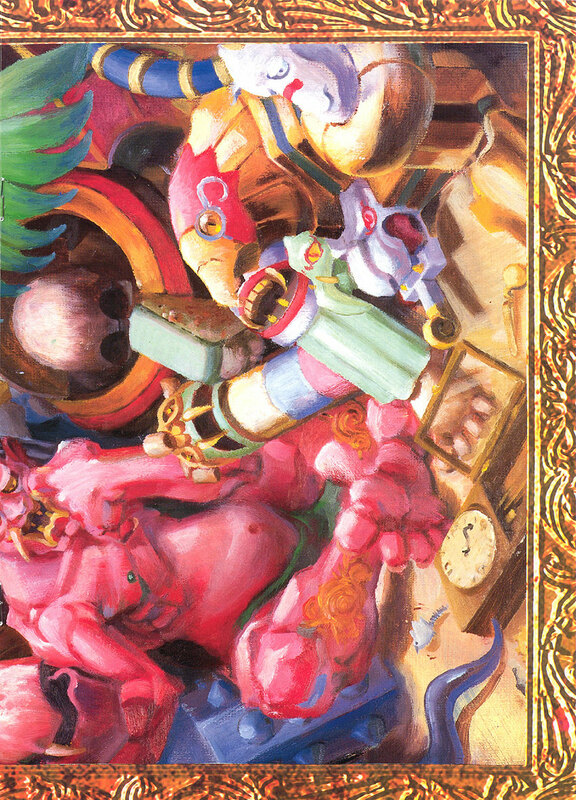 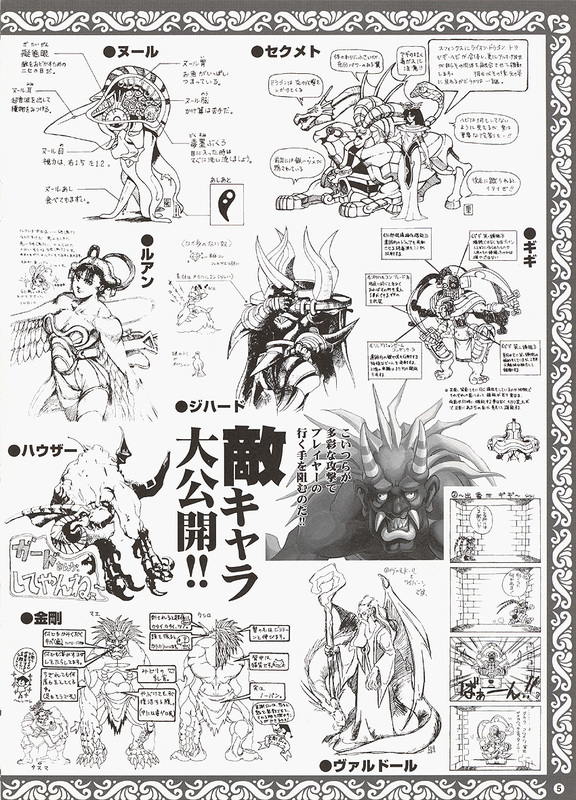 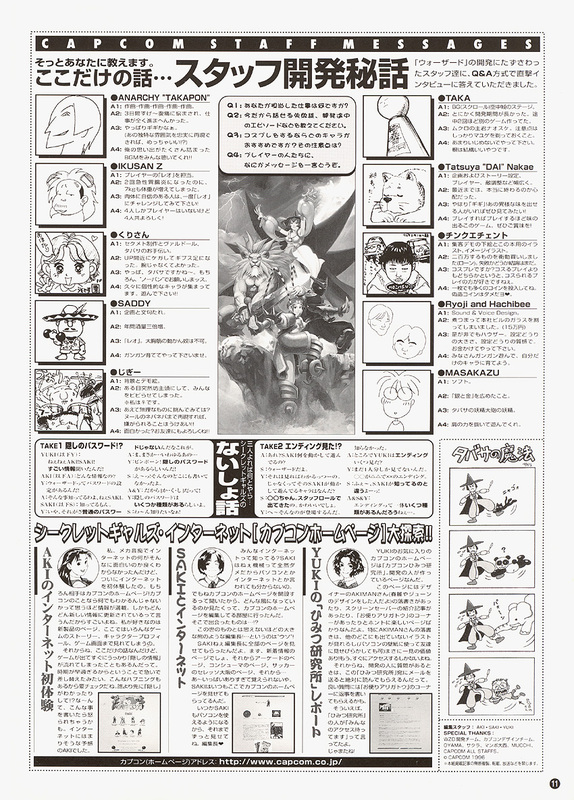 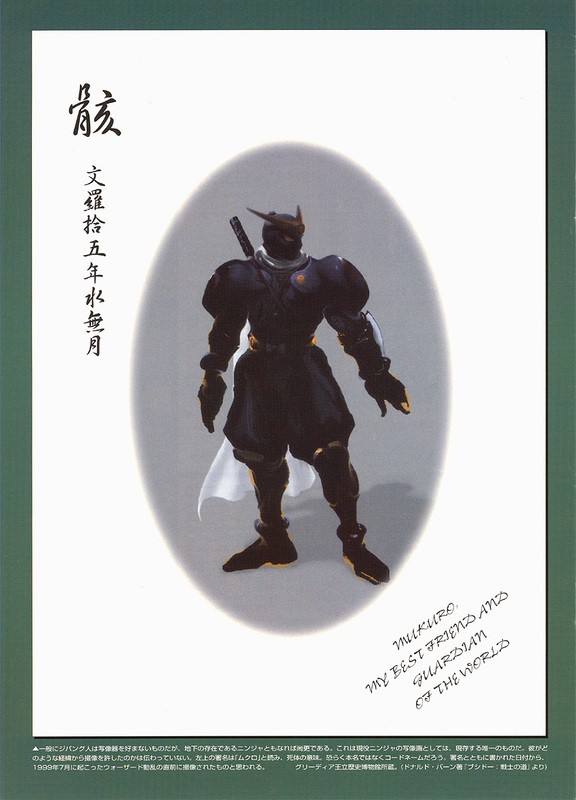 Warzard presented some cool ideas on paper, but in such a competitive climate in 1996 for fighting games, I can understand why Capcom didn't push this series.